The Morgan horse is truly one of the most beautiful, versatile and historically rich breeds in the nation. We are proud of its past, present, and future – and we are eager to share that with you. 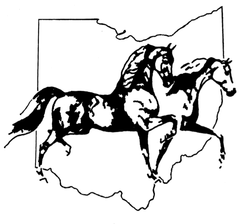 We invite you to share our enthusiasm for this magnificent breed by exploring our website, by participating in one of our many events and by becoming a member of the Ohio Morgan Horse Association (OMHA). Reminder: When you purchase items at Big Dee's please mention you're a member of the OMHA. It helps support the club by providing us with points to receive discounts on purchased items.